You get your money's worth and so much more! The rooms are clean, very spacious-I can't stress that enough and the staff are very accommodating! Worthy mention the Filipina in the front desk who checked me in so swiftly. Summary-I'd definitely come back here again. Thank You! Thank you for choosing to stay with us! We appreciate your positive feedback about our property. We are very pleased to hear that our staff made your stay pleasant. We do take pride in catering to our guests' needs the best way we can. Looking forward to welcoming you again as our valued guest. Best Regards, The Management. You can see and that the hotel has been built many years ago. The rooms, furniture etc look a bit old but still they keep it in a pretty good shape. Clean, nice and helpful staff, big apartments and you can relax at the pool area. Good value for this money. Value for money compared to other hotel apartments. 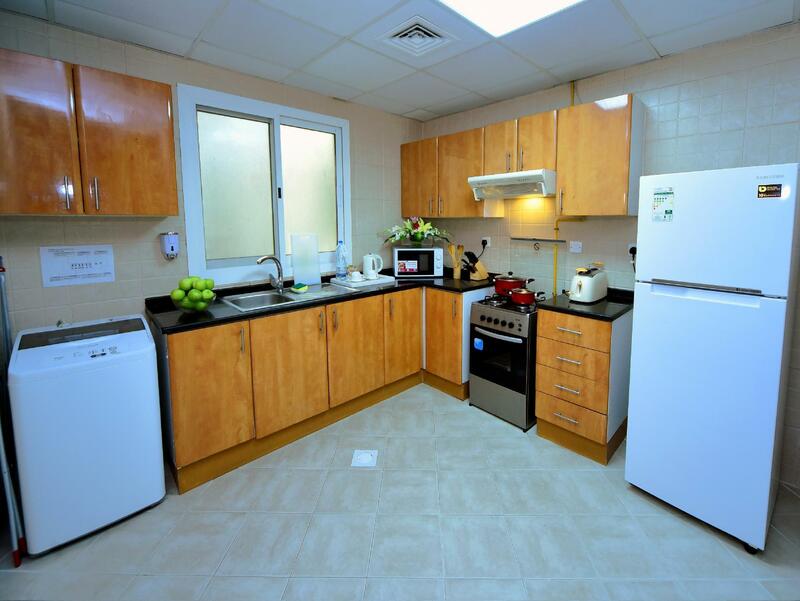 Nearby restaurants & supermarkets, location is between dubai and sharjah. Limited wifi signal. Almost had a problem checking-in but it was quickly resolved. Thank you for choosing to stay with us! We appreciate your feedback about our property. We do take pride in catering to our guests' needs the best way we can. This will give us the opportunity to deal with any problem that may exist and to help improve our services. Looking forward to welcoming you again as our valued guest. Best Regards, The Management. 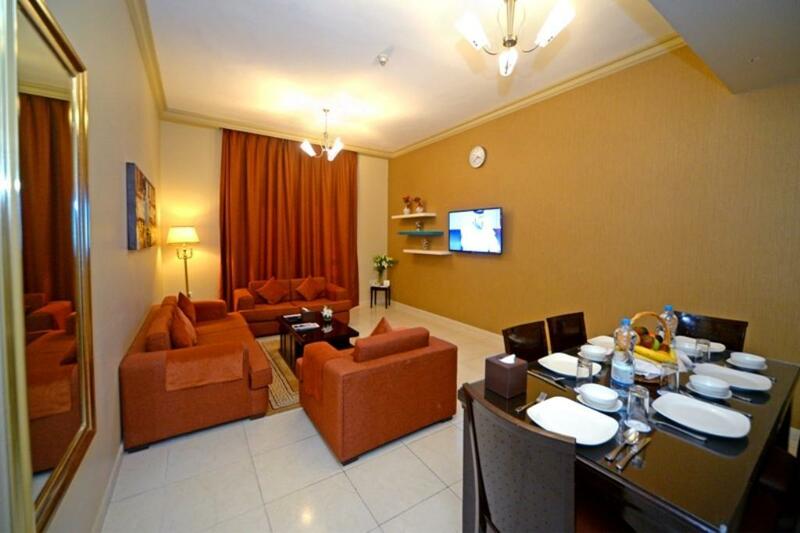 Stayed 4days in this Hotel apartments with my family, Best room are very neat and clean, Excellent Room service, Customer service, Room are excellent and easily accessible location, Super Location, Having near Indian good Restaurant, Super markets, Had a memorable Dubai trip with my family, Will consider Next time also. 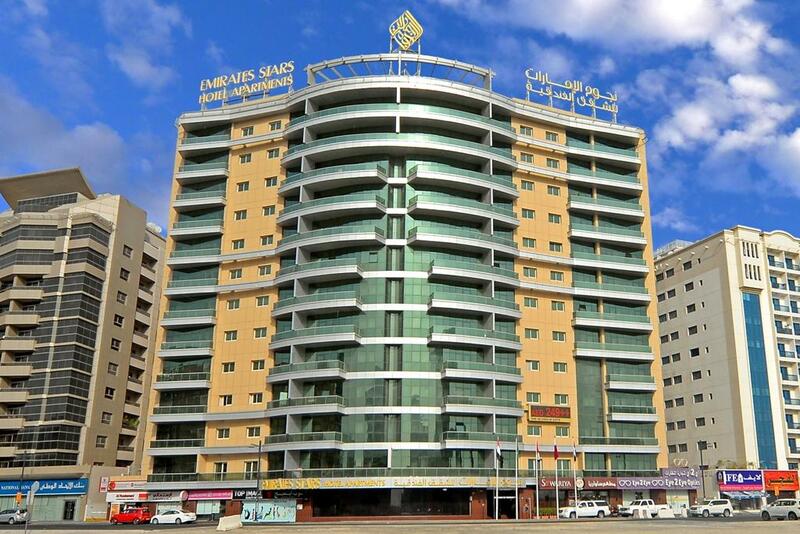 The hotel is close to Dubai airport and at central location between the attraction areas of Dubai and sharjah. The two bed rooms Apartement is clean and fully equipped with all necessary furniture and good condition kitchen equipment, but it has only one TV at the reception. The rooms size is ok , but the reception is slightly small. Thank you for choosing to stay with us! We appreciate your positive feedback about our property. We do take pride in catering to our guests' needs the best way we can. Your feedback will be addressed accordingly. Rest assured that this issue will be rectified the soonest. Looking forward to welcoming you again as our valued guest. Best Regards, The Management. Thank you for choosing to stay with us! We appreciate your feedback about our property. We do take pride in catering to our guests' needs the best way we can.Your feedback will be addressed accordingly. Rest assured that this issue will be rectified the soonest. Looking forward to welcoming you again as our valued guest. Best Regards, The Management. The place smells nice and clean. The place was spacious for a one bedroom. The bed was comfortable. The stay was good and the staff was friendly. The place smells good. The location is not accessible to public transport although taxi can be called so it is not an issue. You can do cooking and grocery is available nearby. An arabic restaurant is also nearby. Very nice & comfortable. The provision of free transportation to & from the Deira City Center & The Beach really makes the highlights of the stay. The friendly staff makes it a very warmth place to stay. The response quick to needs. Reception Staff (Tina) had bad customer service. The hotel is good but the staff is not co operative . I had a wonderful experience staying at this property - real value for money and the service of all departments was almost perfect!! Dear Mr. Senthil, Thank you for choosing to stay with us! We appreciate your positive feedback about our property. We are very pleased to hear that our staff made your stay pleasant. We do take pride in catering to our guests' needs the best way we can. Looking forward to welcoming you again as our valued guest. Best Regards, The Management. สถานีรถไฟใต้ดิน Stadium - ระยะ 1.39 กม.